Financial companies have figured out how to turn a controversial global legal system to their own very profitable advantage. Part three of a BuzzFeed News investigation — click here for part one and here for part two. In 2006, near the height of Wall Street’s disastrous speculative frenzy, some of the world’s biggest banks smelled an opportunity. They saw a way to turn the soaring price of oil into hefty profits. And it involved the tiny island nation of Sri Lanka. The bankers presented officials who ran the state oil venture there with a way to hedge against further price hikes. What the banks were selling were derivatives, an often complex and risky type of financial instrument that became associated with the financial crisis. They amounted to a bet on the price of oil, but it was a lopsided bet. The banks — including giants such as Citibank, Deutsche Bank, and Standard Chartered Bank — bore very little risk. The risk for Sri Lanka, if the price of oil fell, was potentially catastrophic. One Standard Chartered executive found the terms to be so “one sided” that she actually refused to sign off on the transaction, protesting to her colleagues that it could cause “unbearable losses” for the already-struggling oil venture, according to a sworn statement she later gave. But one of her bosses, she said, ridiculed her in a meeting and told her not to stand in the way of several million dollars of profits. The deal went through, and the other banks struck similar arrangements. Then, instead of rising, the price of oil crashed. The Sri Lankan state company found itself forced to pay the banks millions. Sri Lanka’s Supreme Court ordered a temporary freeze of payments while authorities scrutinized the deals. Deutsche Bank’s response was swift. It had already made more than $6 million on the deal, but it demanded to be paid more — much more. More than $60 million, which was 24 times more than the bank ever could have lost on the deal. Deutsche Bank didn’t bother pressing its case in Sri Lankan courts or even in the business-friendly English court where the bank and the state oil company had agreed in their contract to settle disputes. Instead, the bank pursued an audacious strategy. It turned to a powerful worldwide legal system and commandeered it for a novel purpose: helping financiers profit from some of their most controversial and speculative practices. It was a gamble, but it worked; the tribunal accepted the case. This breakthrough came as a delightful surprise to some lawyers around the world who specialize in this legal system, known as investor-state dispute settlement, or ISDS. They saw in it not just a single judgment, but also a lucrative new horizon for the financial industry. “I admire the boldness of counsel and the vision of the management of Deutsche Bank to opt for investment arbitration at a time when there were no precedents,” said Georges Affaki, a lawyer with a large ISDS practice. Calling the case “a huge step,” he said he is leading an International Chamber of Commerce task force to advise financial firms on how they can use ISDS. An 18-month BuzzFeed News investigation reveals how the financial industry is elbowing its way inside the doors of this global super court, transforming a system of justice into an engine of profit. Spanning three continents, more than 200 interviews, and thousands of pages of documents, the investigation has already shown how executives have used ISDS to help escape punishments for crimes they were convicted of committing, and how the system is so powerful and tilted that the mere threat of an ISDS suit can intimidate nations into rolling back their own laws. Now, it shows how the financial industry, once largely absent from the system, is increasingly pressing ISDS claims, often against nations that are poor or in the throes of economic crises. Enshrined in thousands of trade and investment treaties such as the North American Free Trade Agreement, ISDS was designed as a careful bargain. Poorer nations needed foreign businesses to invest in projects that could spur economic development — bridges, pipelines, mines, factories — but foreign businesses needed a stable, independent legal system to protect them from rogue politicians and biased local courts. The solution was ISDS, a form of binding arbitration that was granted exceptional power. Countries often must give its rulings the same deference as those from their own highest courts, and there is effectively no means of appeal. The system was meant to be available only to those companies that had invested the time and money to create something of broad economic value. But over the past two decades, corporate attorneys have stretched the parameters of ISDS, allowing banks, hedge funds, and private equity firms to shatter the careful bargain that participating nations thought they had made. Indeed, financiers and ISDS lawyers have created a whole new business: prowling for ways to sue nations in ISDS and make their taxpayers fork over huge sums, sometimes in retribution for enforcing basic laws or regulations. ISDS lets banks buy into local disputes that they have no connection to, then turn them into costly international showdowns. In South Korea, for example, a US private equity firm and a Middle Eastern investment fund bought and then sold companies at a large profit. When the Korean government tried to tax these gains, both firms ran to ISDS arbitrators, alleging violations of international treaties. Both cases are ongoing. The US firm declined to comment, and the Middle Eastern fund did not respond to requests for comment. The financial industry is pushing novel ISDS claims that countries never could have anticipated — claims that, in some instances, would be barred in US courts and those of other developed nations, or that strike at emergency decisions nations make to cope with crises. When Spain, in the throes of economic distress, announced it would reduce subsidies to the solar energy industry, more than 2o businesses — many of them investment funds associated with big banks or venture capital firms — brought ISDS claims alleging that the government had broken its promises and rendered their investments unprofitable. To be sure, some cases involving financial firms are straightforward. Sometimes countries do mistreat the companies that operate within their borders, deliberately doing harm in order to favor domestic competitors, exact political revenge, or brazenly steal profits. Pointing to such cases, defenders of ISDS insist it is a crucial check on rogue acts by autocratic or corrupt regimes. But critics say that ISDS is vulnerable to exploitation by elite corporate lawyers and their financial-industry clients. The three-person arbitration tribunals that decide the cases tend to be made up of corporate lawyers; they may argue for a company in one case and sit in judgment in another. And they are not bound by precedent; they have broad license to interpret the rules however they want. Most of the time, not even transparency serves as a check on their power, because hearings, evidence, and, in some cases, the judgments themselves remain secret. And the field is tilted in yet another way: Only companies can bring an ISDS suit. Countries cannot sue the companies that operate within their borders. They can only try to defend themselves, which typically costs millions of dollars. This tactic is especially damaging to nations battling an economic crisis or struggling to lift their people from endemic poverty. Companies in crisis can declare bankruptcy, forcing the debt collectors to back off, but countries can’t do this, which can lead to a feeding frenzy. The World Bank and the International Monetary Fund have a debt-forgiveness program for impoverished nations. When a country in crisis owes more than it can pay, international organizations often coordinate a negotiation in which all creditors share the pain. ISDS, however, allows investors to pull an end run around these efforts and demand that their one debt get paid no matter what. They remove their claim from a public process — one that weighs the interests of the population that stands to suffer — and instead place it before a private tribunal designed only to protect the investor. Michael Waibel, a lawyer specializing in international economics, warned in a 2006 legal journal article titled “Opening Pandora’s Box” that allowing creditors to use ISDS could “blow a hole” in the crucial negotiations that allow nations to emerge from crises. Nonetheless, in 2011, a panel of arbitrators did just that. After Argentina plunged into economic free fall, the government negotiated a restructuring deal. But a group of investors rejected the deal and went to ISDS, arguing that Argentina was negotiating in bad faith. The tribunal allowed the case to go forward, prompting Georges Abi-Saab, the arbitrator appointed by Argentina and a veteran international lawyer, to resign from the case. In a scathing dissent, he warned that allowing creditors to use ISDS in this way opened a “vast new field” of litigation in support of “all manners of financial transactions, including the most speculative varieties.” These deals, he said, were “light years away from the economic investment” that ISDS was designed to protect. Within ISDS circles, some worried that case had handed a bazooka to so-called “vulture funds” — predatory investors who buy bad debt for pennies on the dollar and sue to collect the full amount. Many ISDS lawyers defend the new types of claims they’re bringing for the financial industry. At issue, they say, is basic fairness: Countries should keep their promises and pay their debts. “It’s rather an old-fashioned view to say that an investment has to have only a physical, bricks-and-mortar characteristic,” said Matthew Gearing, the global co-head of international arbitration at the firm Allen & Overy and one of the lawyers who represented Deutsche Bank against Sri Lanka. The man tasked with shielding Sri Lanka from high oil prices was already famous — as a star in the nation’s favorite sport, cricket. Ashantha de Mel went on to a career as a manager for clothing manufacturers before he took on a new role: leading the state-owned oil venture. He had been on the job only a few months when he found himself sitting across the table from some of the world’s leading banks, negotiating complex financial deals. De Mel generally didn’t read the whole contract before signing, he later admitted. But he told BuzzFeed News that he understood most everything about the deals, except for one detail: Sri Lanka couldn’t get out if they went south. “They didn’t explain that,” he said. When the price of oil cratered and the deals blew up in his face, de Mel resigned but denied any wrongdoing. Sri Lanka’s Central Bank investigated the deals. It ended up faulting the state oil venture for skirting normal government procedures and entering the deals without the authority to do so. But it also faulted the banks, accusing them of failing to tell the company just how risky the deals were. Moreover, it said, the banks failed to perform due diligence on whether the Sri Lankan venture had the authority to make the deals or the ability to cover potential losses. The Central Bank concluded that the deals were “substantially tainted” and ordered an end to all payments. 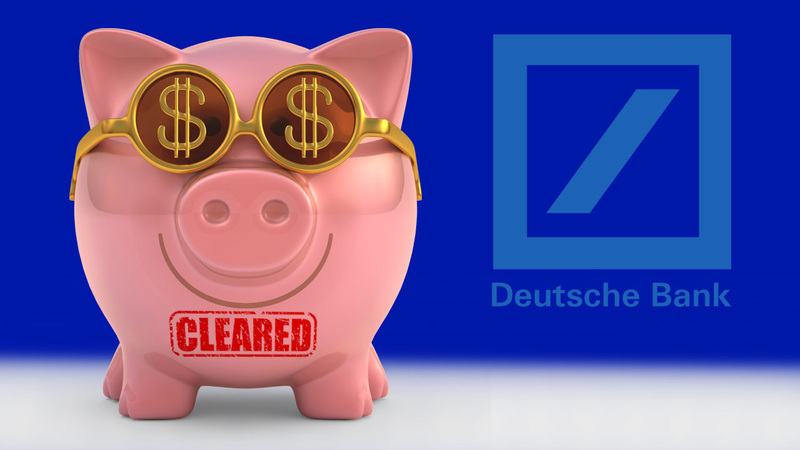 Deutsche Bank wanted the $60 million it said it was owed, and ISDS offered by far the best way to help it collect. Thanks to the international treaties that established the system, failure to heed ISDS rulings can carry such severe penalties that even combative countries usually comply. Nations that try to ignore ISDS decisions risk not only having their assets seized but also losing out on much-needed loans and access to global markets. “It could have a major impact on the macroeconomics and the finance of that country,” said Kenneth Reisenfeld, an international lawyer based in Washington, DC. The main obstacle for Deutsche Bank, however, was getting access to ISDS. The treaties and conventions that created the system generally contain lofty language about promoting economic development. The original purpose was to protect businesses that had built something of enduring value — protection that apparently had never been granted to a derivative. What’s more, by the time the bank filed its claim in 2009, the very thing it stood accused of doing — hawking complex derivatives to people who couldn’t afford the downside and who hadn’t been given fair warning of the risks — had become synonymous with the global financial crisis and the enormous bailout it occasioned. Deutsche Bank itself, through the bailout of AIG, would receive more than $11 billion from US taxpayers. Two of the three ISDS arbitrators, however, found that the derivative the bank had sold Sri Lanka was not risky speculation but a “substantial contribution” that had “substantial economic value to Sri Lanka” — meaning it qualified for protection under ISDS. “The rational[e] underpinning the entire system of investment treaty arbitration is a quid pro quo between private foreign investors and host countries,” he added. “The former seek profitable avenues for investing their resources and the latter seek investment for their economic development.” The majority’s decision, he wrote, threw that bargain out the window. Regardless, Sri Lanka was ordered to pay Deutsche Bank not only the $60 million plus interest it had demanded but also the roughly $8 million in legal fees the bank’s London-based lawyers had racked up. Sri Lanka applied to have the award annulled. But this type of review is extremely limited — it’s not an appeal — and very rarely successful. Weeks after BuzzFeed News first approached Deutsche Bank for comment, a spokesperson sent an email saying that the bank had settled with the Sri Lankan state oil venture. In response to a detailed summary of the story, a bank spokesperson said only that “Deutsche Bank disagrees with several of the inferences, conclusions and statements.” The spokesperson declined to provide any specifics. Standard Chartered noted that it took its dispute with Sri Lanka to a British court, where it won. Citi, which declined to comment, went to yet a third forum, a type of arbitration for disputes between companies. It lost. The Sri Lankan state oil company did not respond to repeated requests for comment. At the time the ISDS tribunal issued its decision, in 2012, the settlement with Deutsche Bank was nowhere on the horizon. By a majority vote, the tribunal had extended ISDS’s extraordinary protection to include a paper transaction that had been in effect for just 125 days — during which Deutsche Bank paid the Sri Lankan oil venture about $35,000 and the Sri Lankans paid the bank about $6.2 million. While that landmark decision helped open ISDS to new kinds of financial claims, entrepreneurial lawyers and financiers are now devising even more ways to profit from the system. No longer did a company’s legal department have to be a budget drain; it could become a moneymaker, said the financiers, beaming in by videoconference from New York and Chicago. International arbitration — for ordinary claims against other companies as well as ISDS claims against governments — had exploded in popularity in recent years, but some opportunities seemed too expensive to pursue. The financiers had a solution: “third-party funding,” a fast-growing, secretive, and controversial field of investing in lawsuits, footing the legal bills in exchange for a cut of the eventual award. Attracted to ISDS by the staggering sums in play, financiers have created an increasingly sophisticated marketplace around the claim itself. “We try to look at all of the different ways you can make money out of this,” said Peter Griffin, a London-based lawyer and consultant who works with companies and funders. The New York hedge fund Tenor Capital Management just scored big by injecting $36 million into a small Canadian mining company in exchange for, among other things, 35% of whatever arbitrators awarded in the company’s ISDS claim against Venezuela. This year, a tribunal ordered that country to pay a whopping $1.4 billion. Tenor did not respond to repeated requests for comment. Sometimes, a funder will wait until an ISDS panel has actually issued its ruling, then buy the award outright. According to brokers and lawyers who said they’ve been involved in such deals but were not authorized to provide details, an investor — often a savvy hedge fund — buys the award before the government has paid it. The investor might pay $20 million for a $100 million award, then hound the government to collect the full payout. Indeed, one such deal came to light only when WikiLeaks released tens of thousands of US diplomatic cables. One of those cables described how Blue Ridge Investments LLC, a Bank of America subsidiary, bought an almost $180 million ISDS award that an American gas company originally had won against Argentina. Blue Ridge, the cable said, was rumored to have paid roughly 30% of the award’s value. “‘Vulture fund’ Blue Ridge belongs to a new class of financial market players” that views ISDS “claims against Argentina as just another attractive class of assets to be appropriately discounted and traded,” a diplomatic officer in Buenos Aires wrote. Blue Ridge’s parent company, Bank of America, declined to comment. Griffin said he expects large trading houses will soon emerge to trade ISDS and other legal cases “on an industrial scale.” Indeed, the industry seems to be moving in this direction already with firms such as ClaimTrading, which promises “secure immediate access” to “several billions of USD” to underwrite lawsuits. A managing director at the firm, John Mooren, said it connects clients looking to sue with the best-matched funder from a list of more than 30 financial institutions with which the firm often does business. The rise of this new industry means that nations can suddenly find themselves pursued by debt collectors with vast legal resources. Large financial companies aren’t likely to go away, no matter how long it takes. Indeed, Griffin said his firm helps investors put together “a playbook” with “a plan of escalation” that often includes suing to seize assets around the world, intervening in other deals the country wants to get done, and launching a PR campaign. When third parties invest in ISDS suits, critics say, new and difficult-to-unearth conflicts of interest can arise. Financiers that fund ISDS claims have enticed some arbitrators and attorneys to consult for them or even to join their staffs. Because funding arrangements generally haven’t been disclosed, critics worry that arbitrators might have a vested interest in a claim they are tasked with deciding, or that an outside funder may have bankrolled a separate claim in which the arbitrator acted as counsel. The biggest concern, though, is that access to all of this “litigation capital” could encourage more and more ISDS claims that have little merit or that are downright abusive. Some funders attend conferences and socialize with attorneys in the hopes of getting a call when a potential client needs money to sue. “It’s like ambulance-chasing,” said Muthucumaraswamy Sornarajah, an international lawyer and arbitrator who has been involved in the system since its early days. Third-party funding does not in and of itself make an ISDS claim dubious. In some cases, it may make it possible for a company, especially a smaller company with limited resources, to fight for rights that a host country has trampled. As for the possibility that third-party funding encourages nuisance lawsuits, he called it a “valid concern.” Outside funding, he said, “can be a vicious weapon for a plaintiff that is unscrupulous and also a funder who’s unscrupulous.” His proposed solution is to enable arbitrators to impose stiff penalties against those who fund frivolous claims and to allow the market to weed out bad actors. Even if third-party funding does provide access to justice, this access is available almost exclusively to businesses, not governments. Examples of funding arrangements for countries that have been sued are rare, funders and lawyers said. That’s a product of ISDS’s design: Only businesses can hit pay dirt and pass along a chunk to a funder. Governments can’t win; they can only try to contain the damage. On the 17th floor of a glimmering office tower on Manhattan’s Madison Avenue, men in dark suits picked over a catered spread, munching on shrimp cocktail and sharing war stories. They were gathered for an event at the headquarters of the Emerging Markets Traders Association, the trade organization for investment firms that buy the higher-risk, higher-reward debt of countries such as Greece, Argentina, and Russia. Billed as a panel discussion, the gathering quickly became an attack on the government of Peru. Gramercy Funds Management, a hedge fund, was turning up the heat in its battle to collect a debt from the South American nation. The fund already had tried public pressure. Now it was announcing a dramatic escalation: That very day, Gramercy had filed an ISDS claim against Peru, the fund’s lawyer told those in attendance. This was the moment some lawyers and economists had feared: What some people call a vulture fund (Gramercy rejects the label) had deployed ISDS in a public assault on a developing nation’s government. In this instance, Gramercy bought into a 45-year-old domestic dispute and turned it into an international controversy. Back in the late 1960s, Peru’s leftist dictator seized some wealthy farmers’ land and redistributed it to the poor. To compensate the original owners, the government issued bonds, to be paid out over the coming decades. But by the 1980s, following a series of economic crises, supersized inflation, and changes in currency, the bonds were basically worthless. Since at least 1992, the government hasn’t been paying the bondholders anything at all. In 2001, however, a Peruvian court ruled that the government ought to pay some approximation of fair value. It didn’t specify what that would be. Meanwhile, Gramercy, which is headquartered in Greenwich, Connecticut, and manages $6 billion in assets, saw an opportunity. Starting in 2006, company officials traveled to Peru, finding individual bondholders and paying them far less than what Gramercy now claims the bonds are worth. The fund has said it bought almost 10,000 bonds, or somewhere between 15% and 20% of the total thought to exist. In 2013, a Peruvian court issued a decision on how the government should value the bonds, and the government later decreed how much bondholders would actually get paid. From the conference room in Manhattan, Gramercy’s ISDS lawyer, Mark Friedman, derided the court decision as a “scandal,” alleging that it had been doctored using Wite-Out and a typewriter so that the government wouldn’t have to pay bondholders a fair value. By Gramercy’s calculations, Peru had wiped out 99% of the bonds’ value. Mark Cymrot, a lawyer who also was on that panel at the Emerging Markets Traders Association, told BuzzFeed News that Gramercy was misusing ISDS by injecting itself in a longstanding domestic dispute. “Why should three foreign arbitrators who have no view on the local, internal political give-and-take of a democracy make this decision?” he said. In a public statement, Peru accused Gramercy of waging a “smear campaign” in an attempt to collect an undeserved windfall at the expense of Peruvian bondholders. Gramercy has argued that it is trying to remedy a “longstanding injustice” and help all bondholders. But if Gramercy prevails in the ISDS case, the Peruvians who still own bonds — the people whose land actually was taken by the government — won’t get a cent of those spoils. They’re not part of the case, and they can’t be. ISDS is available not to them, but only to foreign investors — in this case, the Americans who bought the bonds decades after the fact. Friedman, Gramercy’s ISDS lawyer, nevertheless argued that a victory could help other bondholders by pushing the government toward some sort of settlement. If that were to happen, then Cymrot’s family could benefit. In a strange happenstance, he said, his wife’s grandfather and uncle were among the original group of people who were given bonds after the government seized their land decades ago. Yet that hasn’t changed Cymrot’s view on the hedge fund’s tactics.